Add a touch of class to your Samsung Gear S3 with a stylish link bracelet watch band! 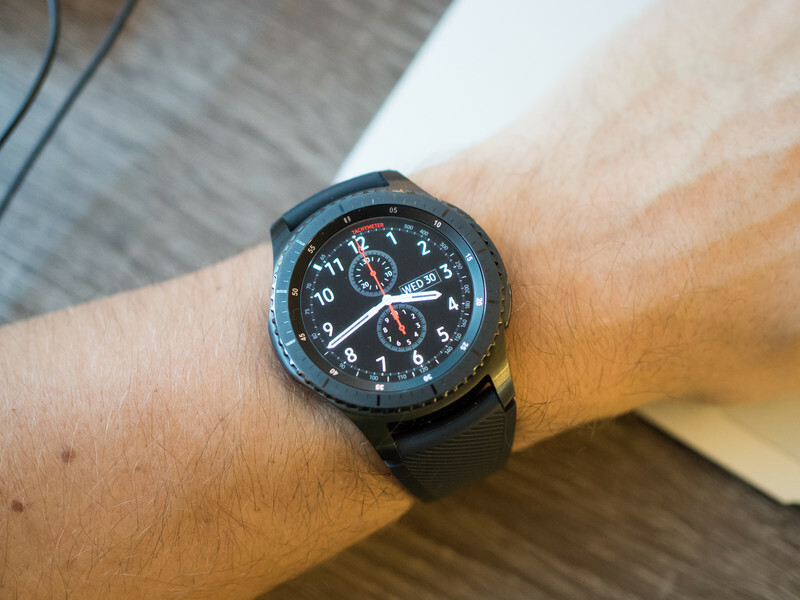 The Samsung Gear S3 is the most powerful smartwatch you can own, making it a popular choice for Android users looking for an alternative to an Android Wear smartwatch. 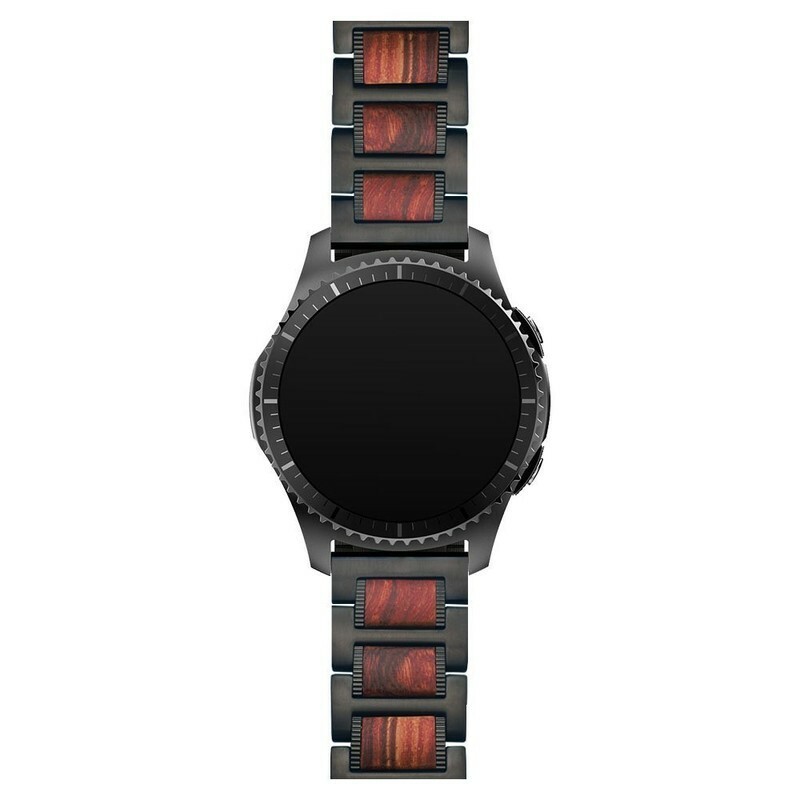 If you love your Gear S3 and wear it every day you should croundeder getting some additional watch bands — maybe something a little fancier than the standard leather or rubber straps that come with the Classic and Frontier models respectively. We’ve round up some of the best link bracelet watch bands for the Samsung Gear S3, so let’s go! Available for $32, this band is just wonderful and compatible with both the Frontier and Classic models of the Gear S3. It comes with extra link pins so you shouldn’t need to buy more. Don’t quite like the Black Steel look? LDFAS has a Silver Steel variant available, along with a couple other styles all for just $30 so take a peek and pick the style that’s right for your wrist! Looking for a dressy strap? 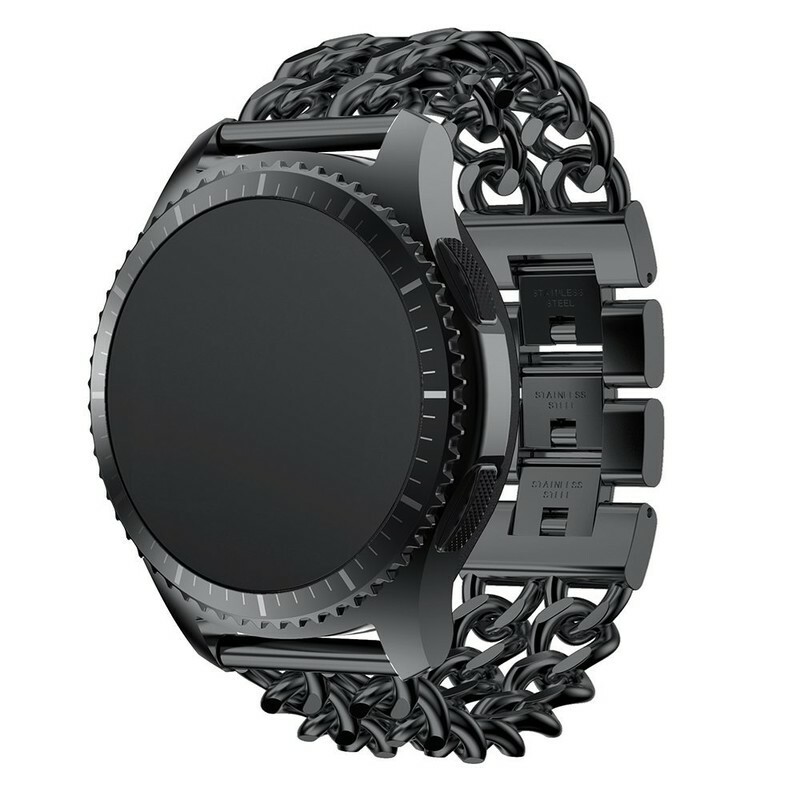 check out this chain link wrist strap in black steel. Available for just $20, it’s a great option to have and with the quick-release design you can swap out your bands right before leaving the door for that wedding or special event. LDFAS has included a couple other styles in this posting, including a Milanese Loop strap for just $12, so make sure you check all your options — you just might end up wanting to buy more than one strap! Speaking of buying more than one strap, Acestar has a great deal on two-packs of metal link wrist straps that’s definitely worthy of your attention. 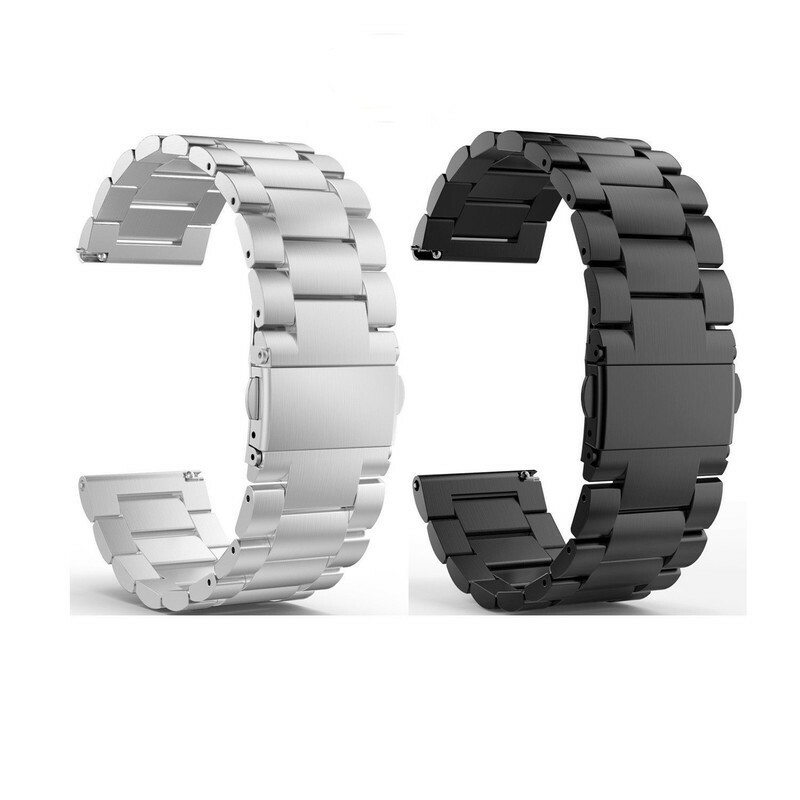 Choose between a classic stainless steel band and a Milanese Loop Mesh strap in your choice of silver or black steel. Love the look of the silver straps? Get two straps in both styles. Want the option to switch between silver and black? They’ve got two packs of each watch band style in both colors. Whichever one you pick, you’ll only pay around $20 which is a great deal for such stylish metal watch bands. Perhaps your hesitant to buy a metal link strap because you can never get the right fit on your wrist. Removing pins can be a frustrating challenge some times. 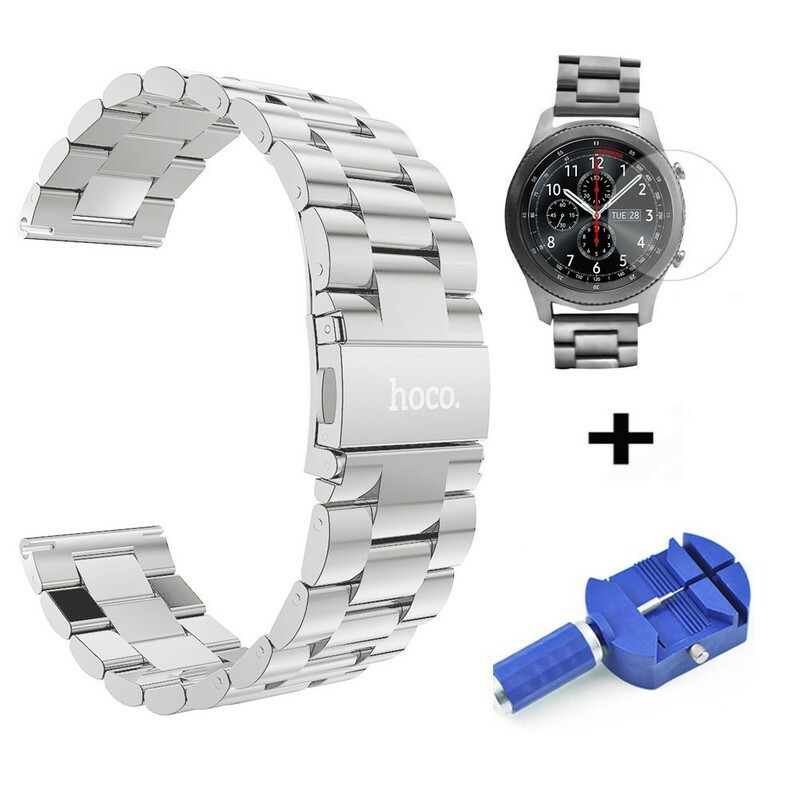 HOCO knows that, which is why they include a pin link removal tool with each of its metal link bands for the Gear S3. It’s a courteous addition that should make life easier owning extra watch bands, and especially if you’re buying this as a gift for someone else. Also included in this package is a complimentary screen protector which is thoughtful — nobody wants ugly scratches on their watch face. You can get your own HOCO metal link band in your choice of Silver ($20) or Black ($24). How have you accessorized your Gear S3? Have any opinions on the styles we’ve highlighted? Did you buy a different band that you think should be on our list? Let us know in the comments!